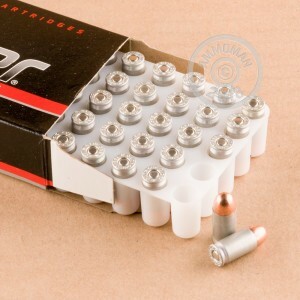 Made right here in America by CCI Industries, the 380 Automatic Blazer ammunition offers a great savings to the shooter who doesn’t reload or is just looking for an economical alternative to brass cased ammunition. This ammo uses a heat treated aircraft grade aluminum casing to keep the manufacturing costs as low as possible. This savings is passed on to the shooter! The TMJ (total metal jacket) bullet and the primer are made by CCI. This combination of economy and quality allow the casual shooter to practice more and spend less. 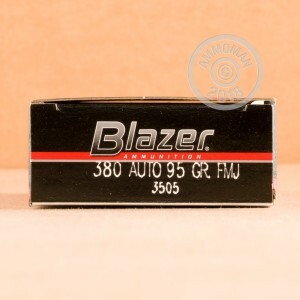 The .380 automatic CCI Blazer generates 995 fps and 188 ft/lbs of energy at the muzzle. 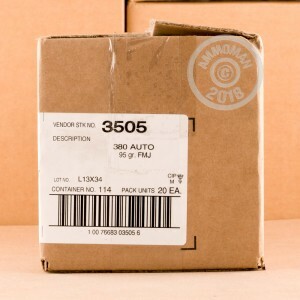 Remember, all orders totaling over $99 gets FREE SHIPPING everyday at AmmoMan.com. Stock up on your favorite ammo and save!